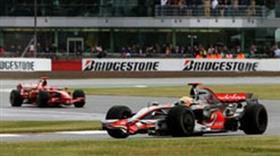 Silverstone is home of the 2009 FORMULA 1 Santander British Grand Prix. While this is Silverstone's flagship event, the circuit's 2009 calendar also offers international and domestic championships from sports cars and classics to the Best of British and Le Mans. There's the Supercar Showdown, HiQ British Touring Car Championship, Bennetts British Superbikes. There's much here to entertain fans of all ages. Entry to all events is free-of-charge for children aged 15 and under (*excluding the 2009 British Grand Prix).